Mindmapping has been something which I have used for many years. However I am not the only one who uses mindmaps. These days there are software packages which can be used to build and view mindmaps, they can be used to help run and manage projects. If we stop and ask for directions most people either use their hands and arms to direct or they sketch a map on a piece of paper. They are trying to show you how to get somewhere. Next time you see this happening you will see what I mean! I use mind maps all the time, they help me prepare work, plan and keep notes from meetings. Mindmaps help you use both sides of your brain, they help you see what you are learning and planning, they are fun and they keep your attention. However they don’t work for everyone and we must accept that as they case. As it is written in the famous book Green Eggs and Ham, ‘You may like them. You will see. You may like them in a tree!’ I know that Mind Mapping does not suit all but I also know that if you don’t try you will never know and you could be missing out on something which could ultimately save you huge amounts of time and effort! 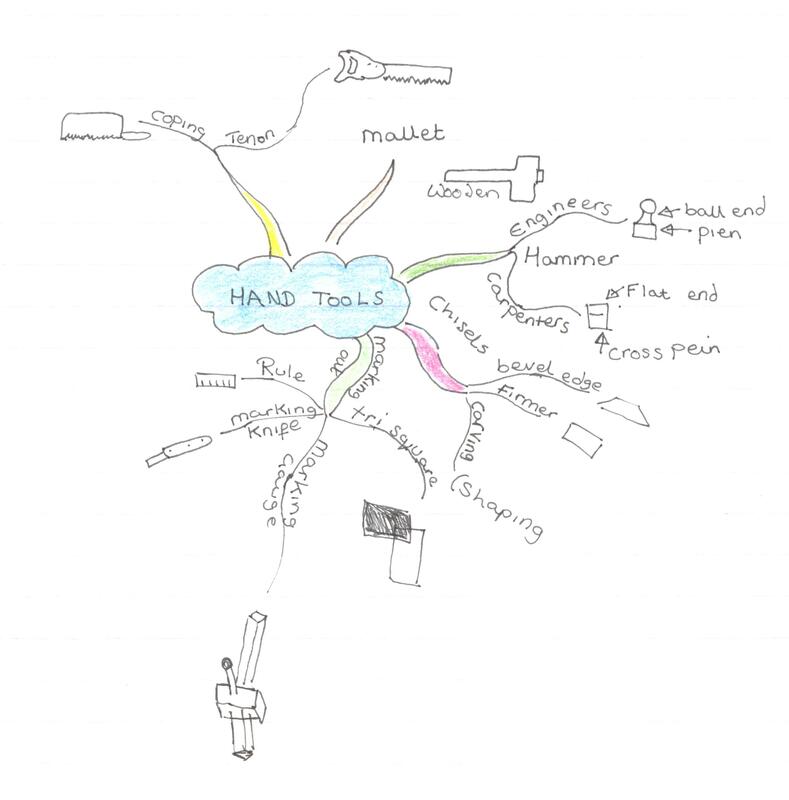 I have two students at the moment both have been introduced to Mind Mapping recently, what a difference this has made to them. One is a very IT savy lad who will not be away from his computer at any cost, he has started using software based mind mapping and is making excellent progress the other lad is using paperbased systems which suit him very well. I work with both IT base systems and paper (notebooks) in which I jot down my initial maps often then converting them to software based drawings. This means I can distribute them easily and I can add and adapt them easily. I have just completed a huge map of the entire GCSE Design Technology course. We will be adding more detail to this as we go along in the next 12 months. This map gives you the 7 stages which you need to go through to produce a mind map of your own. 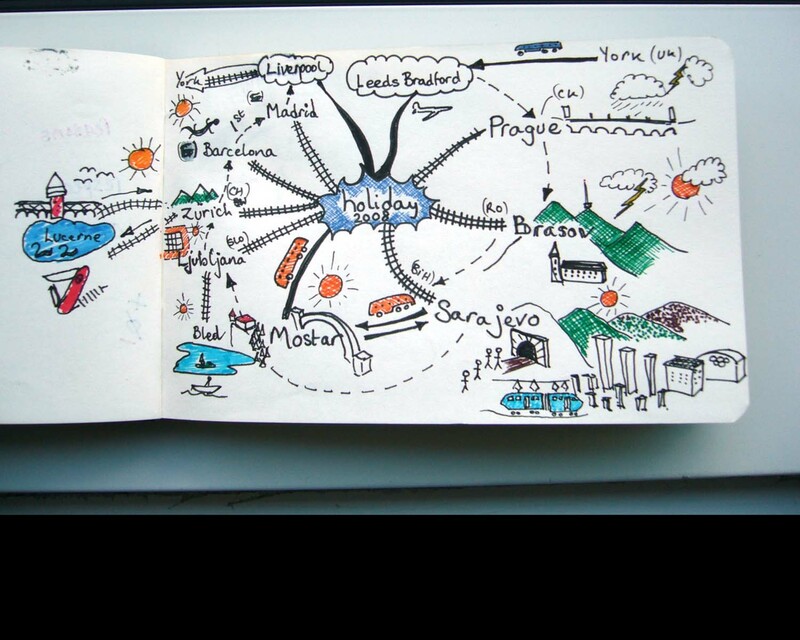 Mind maps are reflections of what is going on in your brain. As a designer I have always found it easy to imagine what I am going to design and make. However I know from talking to other designers that there are different levels and types of imagination. Your brain works with images and links these by association with words/data. If you show someone a photograph of an event or situation they can usually recall a lot more than if you just asked them to describe what they could remember about an event or situation. Mind Mapping was originated by Tony Buzan in the late 1960s and has achieved immense popularity with teachers and students worldwide through its flexible application and ability to appeal to varied learning styles. The benefits of Mind Mapping are now extended further for children of all ages as well as colleges in the 21st Century with the recent launch of Tony Buzan’s first official Mind Mapping software tool ‘Buzan’s iMindMap™ for Education’.